Can a worm smell different foods? How much weight can a super-strong bess beetle carry? Are crickets happier alone or with a friend? Would you touch a spider or keep one for a pet? 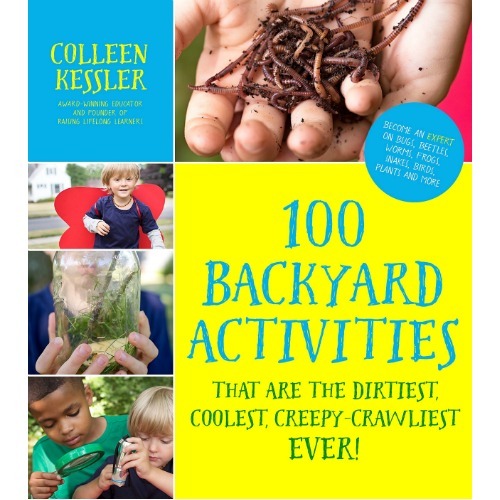 100 Backyard Activities That Are the Dirtiest, Coolest, Creepy-Crawliest Ever! will teach you how to find the answers to these questions and more, and have tons of fun while you do it! 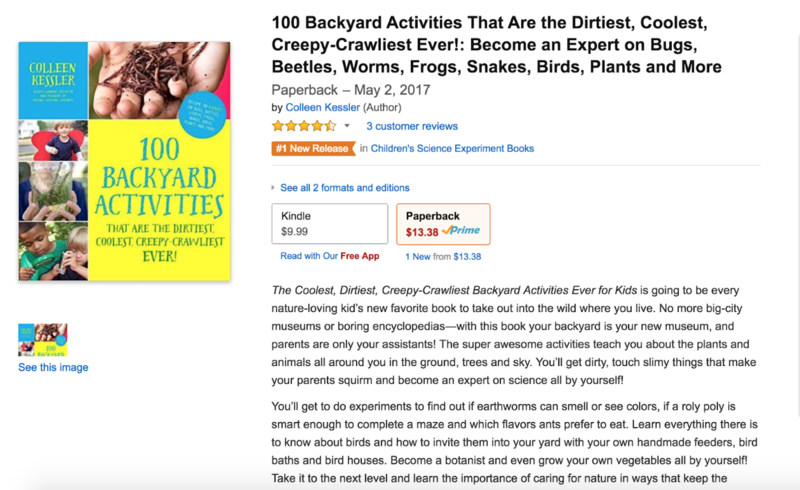 Forget big-city museums, boring books and science games on your computer or tablet―with this book your backyard is your new museum, and grown-ups are only your assistants. You’ll become an expert on bugs, reptiles, birds and plants by getting to know them up close and personal. How cool is that? 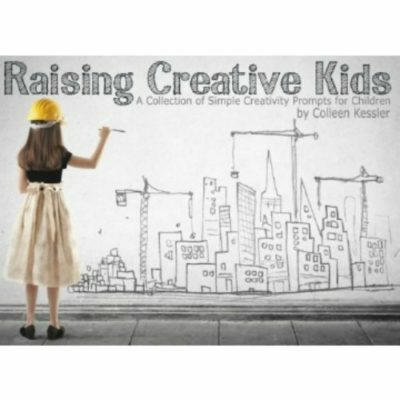 Colleen Kessler is a teacher and mom whose mission is to share unique and effective ways to ignite a passion in kids for hands-on learning, experimentation, science and creativity. 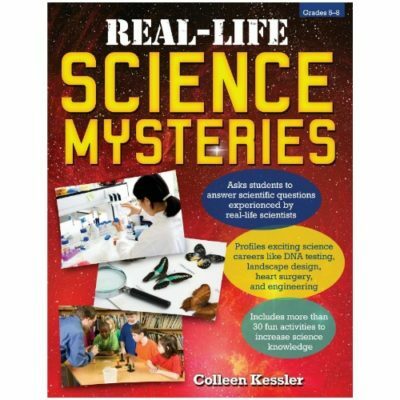 This book does all of that and more―you’ll have fun catching bugs, and your parents will love that you’re gaining important critical-thinking skills and knowledge about science that will help you do well in school. There’s a whole world out there waiting to be discovered . 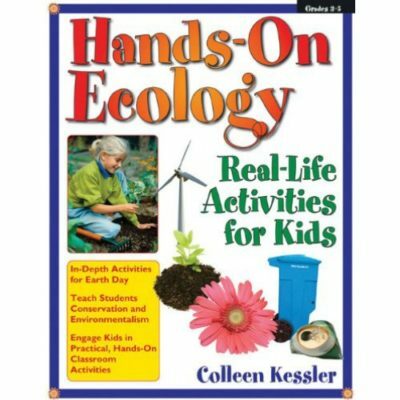 . . take this book with you, go exploring and have a blast spending hours outside.